New look! This product has recently undergone a packaging change, customers may receive old packaging during this time. 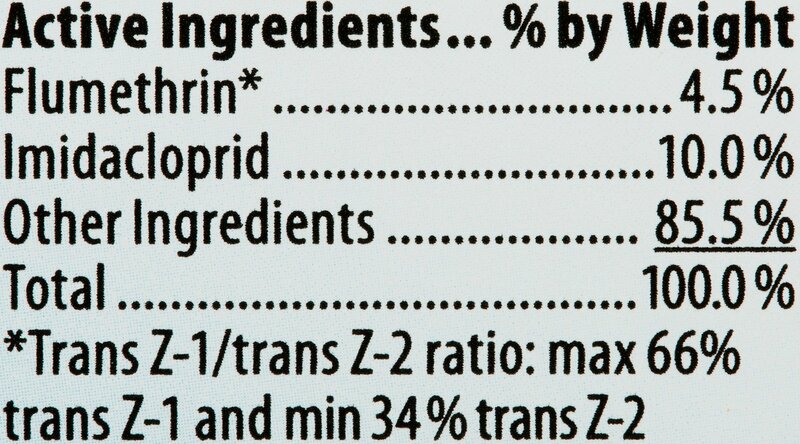 Active Ingredients : Flumethrin 4.5% , Imidacloprid 10.0%. Repels and kills ticks. If a tick is repelled, it cannot attach and transmit disease-causing organisms. Flumethrin effectively repels and kills ticks.Flumethrin works together with imidacloprid to provide dual action against fleas and ticks. No other treatment has this combination of ingredients.The active ingredients spread from the site of direct contact over the skin surface of the cat or dog.Sustained release technologySeresto works similarly to a monthly topical, but as the active ingredients wear off over time, a new supply is continuously replenished in low concentrations. The active ingredients spread from the site of direct contact over the skin surface.Bayer's polymer matrix technology is designed to slowly and continuously release the active ingredients for eight months, a duration that makes it clearly different from other flea and tick collars. Because some pet owners may be concerned that a cat or small dog could get stuck while wearing a collar, Seresto is designed with a safety release mechanism. In the unlikely event of the cat being trapped, the cat's own strength is sufficient to widen the collar to allow for quick release. A hard pull causes the ratchet-release mechanism to allow a widening of the collar. The small dog and cat collars are equipped with a predetermined breaking point. A harder pull triggers the breaking of the collar at this point. If your cat is not used to collars. Rarely, mild application site reactions may occur such as scratching, redness and hair loss, which usually recover within 1 to 2 weeks without the need for collar removal. In some cases, temporary collar removal and bathing may be recommended until symptoms have disappeared. In very rare cases, application site reactions such as dermatitis, inflammation, eczema or lesions may occur. In these instances, collar removal is recommended. If signs persist or become more severe, consult a veterinarian immediately. 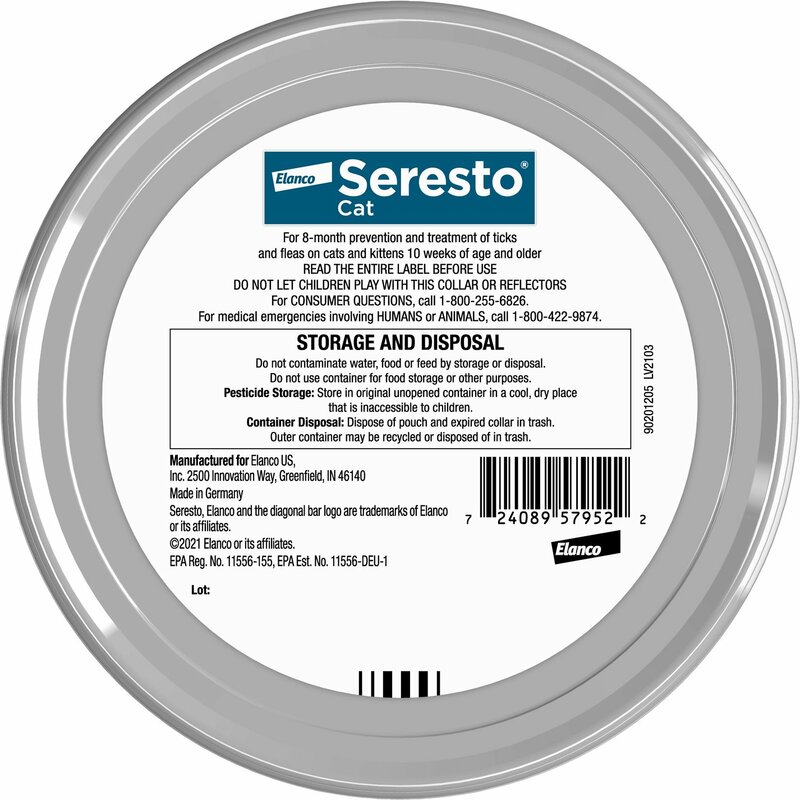 What is the expiration date for Seresto for cats? 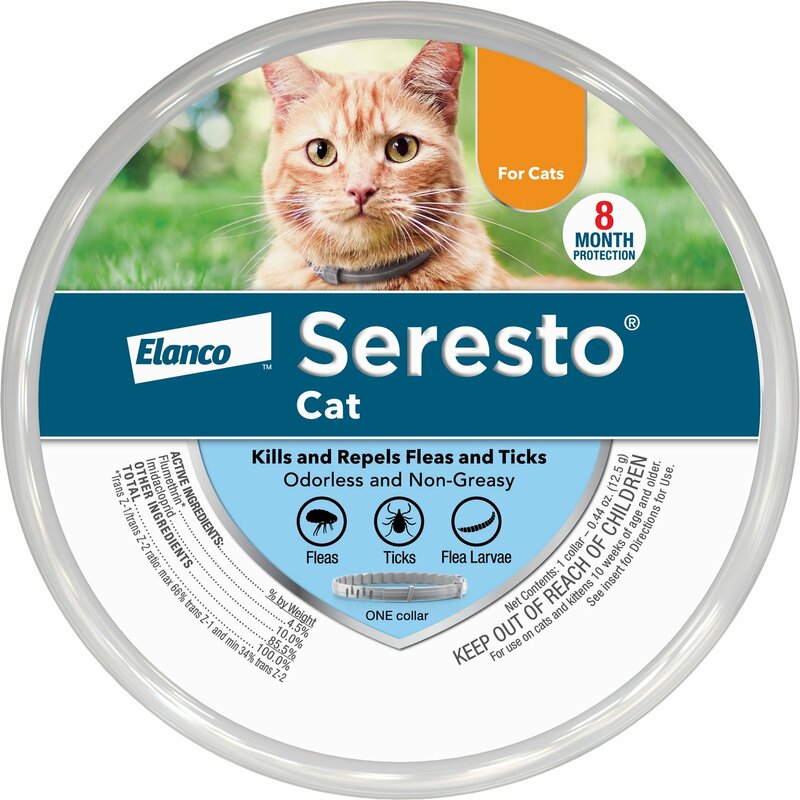 Give your cat the long-lasting protection of Seresto. This easy-to-use, non-greasy, odorless collar kills and repels fleas and ticks for eight continuous months with proper use, so your feline has protection from these biting pests. Get the performance you expect from a monthly topical treatment in an economical collar for convenient, effective protection against fleas and ticks. 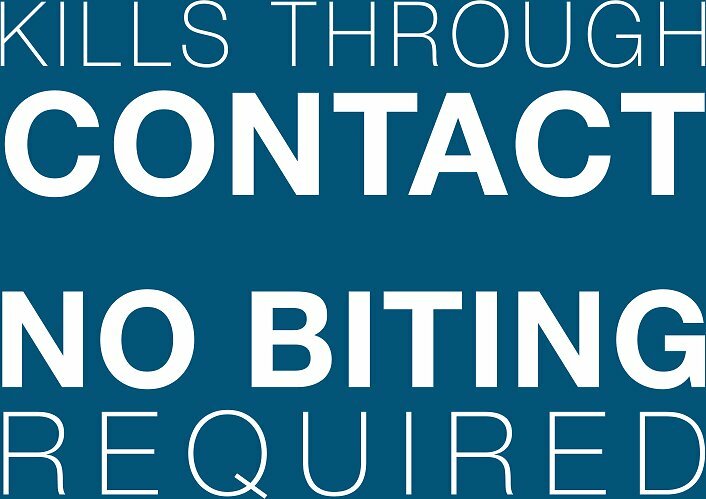 With Seresto, fleas and ticks are killed through contact, with no biting required. The active ingredients stored within the collar release in low concentration with daily wear and are distributed over your cats skin and coat from head to tail for effective protection. As the active ingredients wear off over time, the collar continuously replenishes the skin and coat with a new supply, for 8 continuous months. The veterinarian-recommended Seresto collar is non-greasy and helps avoid the inconvenience of applying monthly flea and tick treatments. It's easy to adjust for a secure fit and kills and repels ticks too. This is important because if a flea or tick is repelled, it cannot bite and transmit disease. Plus, the collar is designed with a ratchet-release mechanism and pre-determined breaking point. 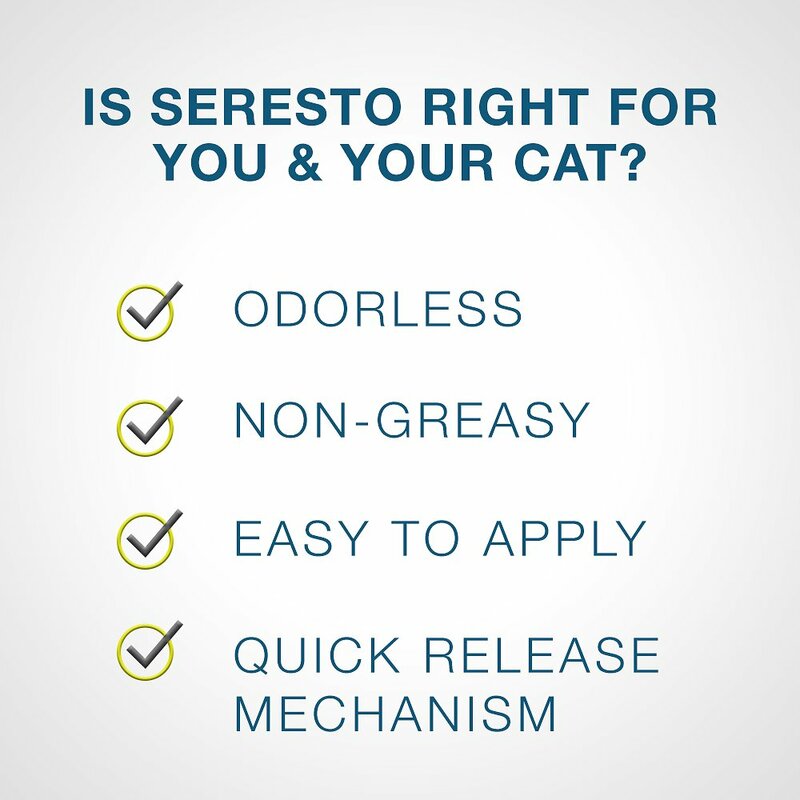 Is Seresto the Right Choice for your Cat? 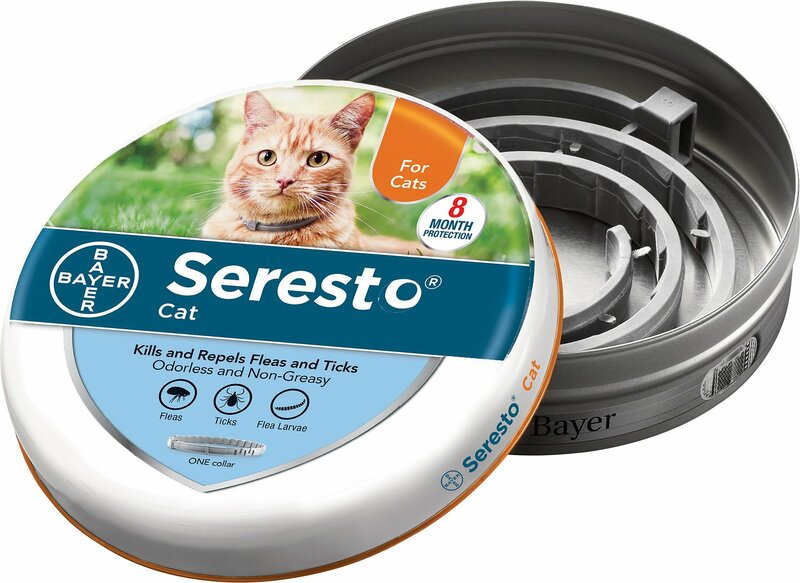 If your cat is always on the go or dislikes topical and oral medications, then the Seresto collar is a great option to help keep them protected. 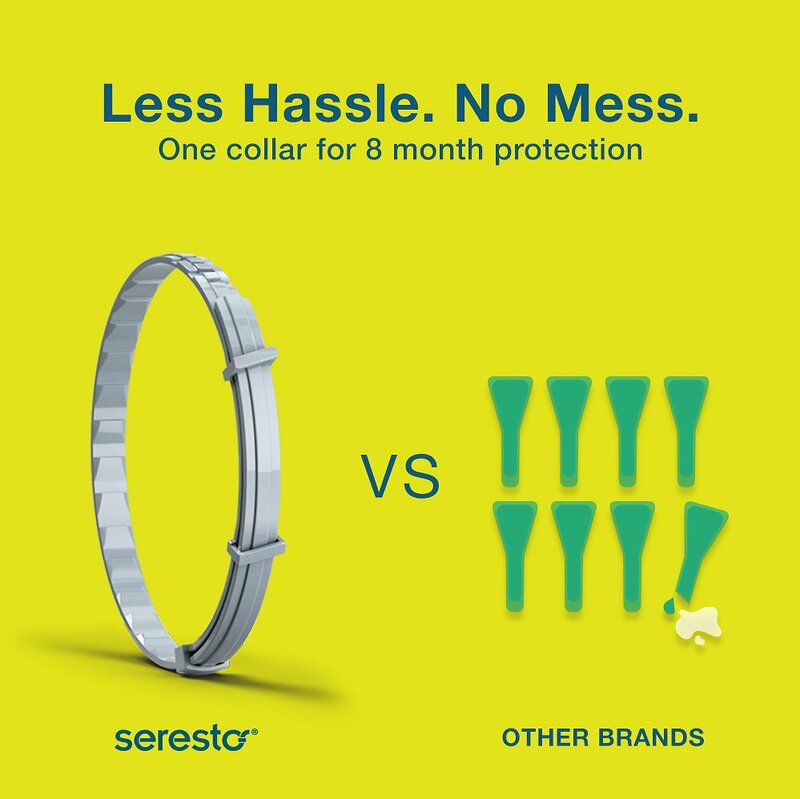 The Seresto collar provides pet owners with a convenient flea and tick preventative option that works continuously for eight months, eliminating the need for monthly reapplications. Seresto brings convenience to every pet owner with lasting 8 month protection against fleas and ticks that's totally wearable. Plus, Seresto works through contact which means fleas and ticks don't have to bite for the active ingredients to work. It's also available without a prescription, so it's just one less step to take care of. Seresto is manufactured by Bayer, a leading name in the healthcare industry for over 150 years. Seresto kills and repels fleas and ticks for eight continuous months in one easy-to-use, non-greasy, odorless collar. It effectively kills fleas and ticks and is veterinarian-recommended, so you can feel confident knowing that your pet is getting the protection she needs. Merlin is a black short haired cat that is very allergic to fleas. He would scratch so bad that there would be scabs going all along his back. We tried cheap flea collars for a long time and he would still get those scabs. Eventually we found out from a vet that it was from the flea allergy. This completely fixed the problem and he no longer has any scabs and looks beautiful! We have 2 indoor cats and one has been proned to fleas since we got him. Topical treatments just weren't working on him and his vet suggested us try this collar. This is the 2nd one I have purchased for him and our other indoor cat. They say they work up to 8 months, but I forgot when I bought them and they actually had them a little over 12 months before I got the new ones and they still had no traces of fleas. Definitely a product we will keep buying and recommending to people. I’ve never been disappointed with seresto collars. I took in 3 cats from outside 2 winters ago. Unfortunately they still want to go outside sometimes. I gave the collars a try hoping they’d work so fleas wouldn’t get to my house cats. And they work! So many people complain about the price. I think they are reasonable for how long they last and how well they work. My 3-year old male cat has been wearing the Seresto flea collar for 3 weeks now & so far he has had no negative reaction to the collar itself & I was impressed that the collar had no strong ordor. I'm still not 100% sure how effective the collar is at eliminating the fleas as my cat had very few fleas to begin with. It seems that he is highly sensitive to fleas & will scratch & lick even though I see very little evidence of fleas on his body. I'm just not sure if this is the right option for him. I found it easy to use. It appears that she stays free of evil insects. She goes outside sometimes. Would recommend. Not sure if it would be perfect as only defense in heavy tick areas. We did live in heavy tick areas and they don't appear to like her. My job is research, so I usually am picky about what works and to what degree. We live in the Country so Ticks and Fleas are always a year long problem. Our dogs LOVE the Water, we've tried Several other products, they were just a waste of money because it would "Rinse Off" shortly after being applied. These collars are EXCELLENT FOR 8 MONTHS!My girls have used them since they were puppies and they have NEVER had a Tick or Flea...I buy my Seresto and put it on my girls for April 1st and it's Good through "ALL the Seasons"..Spring, Summer and Fall!! HIGHLY RECOMMEND!!! We get these every spring for our cats and we love them. They're easy to put on and adjust and our cats are protected for 8 months. The reflectors are nice, but we don't use them since our cats are mainly indoors. The only reason we have them is because we let them outside (supervised) and just want to be ready for anything. Waste of money because they don't work! I ordered 4 of these because my groomer recommended them but my cats still all have fleas after wearing them for 5 months. I've been working with my groomer all winter to get rid of the fleas on the cats (indoor cats). The collars are very hard and inflexible. At the same time I ordered seresto dog collars and my dogs do not have any fleas. There is something wrong with the cat version. Definitely helped get rid of fleas in our house. Once I put it on my cat I combed her later that day and they were mostly gone! Topical treatments aren’t an option for my cats because one of them is sensitive to it. For some reason, the collar doesn’t cause those problems! I don’t know how it works, but I’m very happy with this purchase.